I searched the entire world for the Mother. I yearned for the Mother incessantly in meditation. The benevolent Mother accepted me as Hers. She granted me the experience of Sakhi. I reached above all planes in the universe. I scaled all those spiritual heights humanly possible. I am constantly in a state that is many steps above moksha. I possess the actual wealth of ras. Those who are ordained to attain it will only come near me. 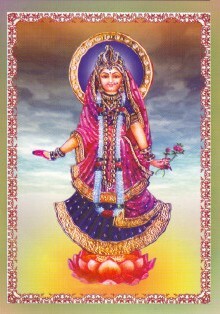 Only I have the authority and qualification to talk about Radha Devi. In the whole of India, I am the only one like myself. Rama is the only one like Rama. Krishna is the only one like Krishna. The shackles of maya have been broken. The person whom you are seeing is not the real me. I am bound by Radha dhyana. My life is only that which is linked with the Mother. I will not leave anybody who comes into my contact. A divine power will emanate from my bhav Samadhi and those vibrations will touch the person who sought shelter in me, wherever he is, and relieve him from suffering. My powers will remain eternally in both the ashrams. I am in the state of super dhyana. The states of being in and also not being in dhyana are equally blissful. Just as I am unable to live away from the Mother, She is also unable to be away from me. Come to me only as those persons who are being seen by the Mother. Don't come as ordinary human beings. My plane is that of Bhav. My body is that of bhav. Both are eternal. Eternal life and eternal job. I will have both. That is Radha Rani. I am holding Mother. Mine is a firm grip. I am Radhasakhi. Radhasakhi is above gender, above religion. I am enjoying the sweetness of the Mother's love every moment. That's why Vrindavan called me 'Rasika Siromani'. I can bring Her grace upon mankind. I will live as long as the sun and moon exist. There is no death for me. There is no obstacle for my work. Mother is present with me every moment. In this ever-changing world, the Mother is the never changing light.